Denison Witmer (US) see: Samples etc. 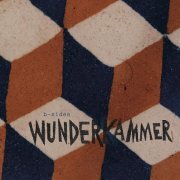 Witthüser & Westrupp played a sort of stoned psychedelic folk, which has got itself lumped in with the other Krautrock merchants somewhere along the line, despite sounding nothing like Can or Faust. Then again, Krautrock is a broad church, so who's to say this kind of weed-induced meandering doesn't fit in? Der Jesuspilz/Musik Vom Evangelium certainly falls under the remit of weed-induced meandering, largely to the point of tedium. Saying that, Schöpfung is quite hypnotic, in an acoustic kind of way, although the kazoo on Versammlung and Die Aussendung is completely unforgivable. And no, I don't care what they'd been smoking. There are better tracks; Bekenntnis has some lovely harmonium, and Besuch Aus Dem Kosmos finishes the album off nicely, but it's not exactly a five-star effort. Erleuchtung & Berufung is the only obvious 'Tron track (from Dieter Dierks), with a high string line and flute arpeggios accompanying a children's choir in places, of all things. As a result, I feel I have to say: don't bother, unless you're big on stoned German hippy folk stuff. Which I'm not. 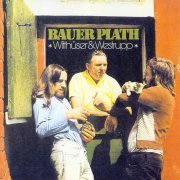 The following year's Bauer Plath is an improvement, certainly for the unstoned, sounding far more focused, while retaining its predecessor's hippy sensibilities. Die Schlüsselblume is probably the album's highlight, featuring a great descending riff repeating to the fade, predating so many similar efforts, although there's nothing here to trigger my 'had enough' button. Jürgen Dollase from Wallenstein plays keys throughout, as he does on several Kraut releases (Cosmic Jokers, Sergius Golowin), including Mellotron, with a string part on Vision I and flutes on the title track, although the strings on Die Schlüsselblume sound nothing like a Mellotron and are more likely to be real. Strings and brass on closer Das Märchen Vom Königssohn make for a medium-level 'Tron album, almost worth it for that alone. So; full-on Krautfans will probably love Der Jesuspilz/Musik Vom Evangelium, though I can't say I do, although Bauer Plath is a lot better, both musically and Mellotronically. (Sort of) worth the effort. Jeff Witzeman & the Jealous Housewives (US) see: Samples etc. Hailey Wojcik (US) see: Samples etc. Tommy Womack (US) see: Samples etc. Womega were a Belgian outfit from the mid-'70s who can't really be classified as anything much; slightly progressive, not really heavy, not really pop. Just 'rock', really, whatever you take that to mean. 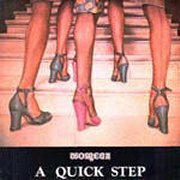 There's a couple of reasonable songs on their sole release, 1975's A Quick Step, chiefly acoustic guitar duet Bagatel and the slightly-proggier-than-the-rest-of-it Tearful Thoughts, but to be brutally honest, it's nothing special. Mellotronically speaking, Christo Said has some nice Mellotron strings from Paul Vrijens, with less of the same on Sweet Sleeping Sixteen and strings and choir on Tearful Thoughts, but I really wouldn't go out of your way to secure a copy, especially considering its relative rarity. One advantage of starting your career so early (eleven, in this case) is that having had a near-fifty year run, Stevland Hardaway "(Little) Stevie Wonder" Morris is not yet sixty. His '60s material on Tamla is strictly for soul fans, but his run of '70s albums, beginning with 1972's Talking Book, are pinnacles of the decade's music; whether or not you actually like them is almost irrelevant. 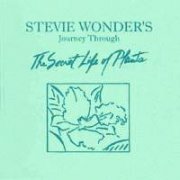 1979's Journey Through the Secret Life of Plants followed the jaw-dropping success of '76's Songs in the Key of Life and was regarded as a serious disappointment at the time. Thirty years on, its charms have been rediscovered by a new and less expectant audience, receptive to its proto-new age/'world' music feel, Wonder using musical tropes from across the world, including Indian (Voyage To India), African (Kesse Ye Lolo De Ye) and generalised Oriental (Tree). The double album's largely instrumental, which didn't endear it to his multitude of fans who couldn't see beyond his more eminently singalongable material, but which has, perversely, helped it not to age anywhere near as badly as many of its contemporaries. Now, I forget the exact details, but the story goes something like this: somebody (Harry or Richard Chamberlin?) took one of the handful of four-manual machines they built (the M4? MusicMaster 800?) along to wherever Stevie was working at the time. As soon as he laid hands on it, he demanded to buy it, apparently putting it 'all over' his new album. The actual audio evidence doesn't fully back this up, although it seems it's on a few tracks; things aren't helped by Wonder's use of the Melodian, an early, monophonic sampler, that probably provides the rather repetitive animal and bird sounds on the record, plus extensive use of various polysynths that had entered the market since the last time he recorded. As a result, I've rather embarrassingly had to use essentially guesswork in several cases here, but I think you can hear the Chamby providing strings, mixed with synth, on Voyage To India, with definite flutes on Seasons, strings on Black Orchid, Tree and Finale, although the flutes are nearest any of these comes to a 'definite' sighting. I've no idea what produces the church organ on Ecclesiastes, although it's a possibility; I'm not aware that the sound was ever available for the Chamberlin. Overall, then, an album to explore once you've worked your way through Wonder's 'classic four', assuming you understand where he's coming from. You're not going to buy this as a good way to hear the Chamberlin, but are you really surprised? Wonder Stuff (UK) see: Samples etc. Beth Wood (US) see: Samples etc. Lauren Wood (US) see: Samples etc. 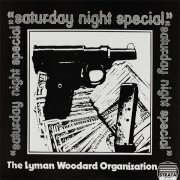 Lyman Woodard was a Detroit-based jazz organist, whose 1975 album with his Organization (apparently recorded two years earlier), Saturday Night Special, is a deceptively mellow release with unexpectedly threatening undercurrents, as befits an album named for a gun. Mostly instrumental, this is something that Jimmy Smith fans might consider exploring, Woodard's Hammond work being quite outstanding in places. Its best track is probably the near-ten minute Cheeba, a ripping organ and percussion jam with Latin overtones, although nothing here should offend the discerning listener. Woodard adds credited Mellotron strings to the first three tracks, in a distinctly 'orchestral replacement' mode, rather neutering their ubiquity, as they simply sound as close to a proper string section as a presumably cash-strapped Woodard could make them. Nice to hear, but as the parts have little of the machine's inherent sound, you're probably best off going elsewhere for Mellotron overkill. David Woodcock (UK) see: Samples etc. Woodpigeon (Canada) see: Samples etc. Jezz Woodroffe, later of fellow Brummie Robert Plant's band, was Black Sabbath's offstage keyboard player when he recorded Opposite Directions, released in 1980 (according to the record) or '78 (according to his website). 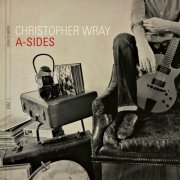 In all honesty, it's about par for the course for a sideman's solo album; the guy can certainly play, but the writing leaves an awful lot to be desired, with much of it based around iffy jams (San Diego Sunset), or dreadful attempts at a Midlands take on Chas'n'Dave (to American readers: don't ask). The band Woodroffe gathered together are all very competent and Gibson John's guitar work (presumably) is actually pretty good, but it's all a bit faceless, really; they sound like session musos. 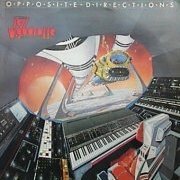 Unfortunately, many of Woodroffe's keyboards are of that 'late '70s Japanese' type; he must have had an endorsement deal with Yamaha, going by the number of their products he namechecks on the (extensive) gear list. They still sound loads better than 'dodgy '80s digital', but too many polysynths spoil the broth, or something. There's a Mellotron M400 listed there, too, but I can only actually hear the thing on the title track (about the best thing here), with flute and choir parts. Since Opposite Directions is apparently quite rare, don't rush out to try to find a copy (I found mine in a Birmingham second-hand shop and I doubt if many found their way much further from the area). Disappointing. Woods (US) see: Samples etc. Lucy Woodward (US) see: Samples etc. 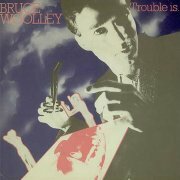 Bruce Woolley's name has been unfairly, well, not so much erased from history as quietly forgotten, although he originally made up one third of (The) Buggles, inexplicably leaving just before the release of his deathless composition Video Killed The Radio Star. Well, we all make mistakes, don't we? He immediately formed The Camera Club, who released their sole album, English Garden (including his version of Video Killed...), in 1979, not to mention a clutch of singles, including several non-album tracks. One of these was Trouble Is..., an angular piece of typical new wave pop (featuring an early attempt at rapping, pop revisionists) that could've hit but didn't, backed with a rather ordinary album track, Get Away William. 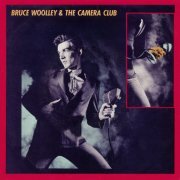 It reappeared the following year, on a US-only EP simply entitled Bruce Woolley & the Camera Club, alongside, yes, Video Killed..., an album track and an otherwise obscure, un-reissued number called Only Babies Can Fly, a laid-back, rather inconsequential piece, if truth be told. 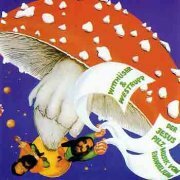 Although there's not a hint of Mellotron on the album, the EP contains chordal flute and string parts on Trouble Is..., quite clearly Mellotronic, alongside the synth strings all over the track, presumably played by another musician who used Woolley as a springboard, band member T(h)om(as) Dolby. Only Babies has Dolby (again, presumably) playing 'Strawberry Fields' flutes, cello and string parts, to reasonable effect. Enough to make them worth hearing, though? Not especially, no. 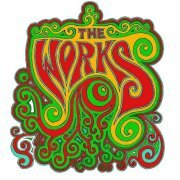 The Works were a one-off psychedelic project, having heavy links with Dungen, amongst other doyens of the Swedish underground; living legend Reine Fiske (ex-Landberk) guests on guitar and fiddle. The Works can be roughly described as Tomorrow Never Knows being played for fifty-four minutes. This is a seriously uncompromising album, crazed drummer Johan Holmegard driving things along beautifully, while the quieter tracks exude a certain Nordic menace, as if the entire population of Sweden ingested the brown acid simultaneously. Perhaps they did. Highlights? The woozy Time To Wake Up, I Saw The Ocean, the Who-like Follow Me There, the monster Hammond solo on The Tale... Criticisms? Most of the tracks are too long; this is an album that needs to lose ten minutes from its running length. No mention of Mellotron on the sleeve, but (presumably) keys man Alexis Benson (who also appeared on Liv på Jorden's Blomkraftens Frukt) plays what sounds like a real machine on a couple of tracks, albeit briefly, with something (!) mixed with strings on Follow Me There and strings on Slow As She Goes. It's perfectly possible it's used elsewhere, but the dense mix on several tracks obscures much of the instrumental detail. Not a classic, then, but worth hearing. 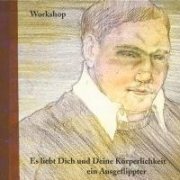 Workshop are essentially a duo of Stephan Abry and Kai Althoff, but I've no idea who does what, including the nice (very) little Mellotron strings part on Die Zunft Von Nahweg, which actually sounds quite real, though it seems you can never tell these days. So; if that weird German folkish thing floats your boat, you may well go for this. Only one even halfway decent Mellotron track, though, so don't go out of your way on that front. Karl Wallinger formed World Party after leaving The Waterboys, sounding not wholly dissimilar to that band, while adding sample use and an eco-awareness that appears to stretch to 'recycling' occasional bits of other people's songs. Call it 'referencing', OK? 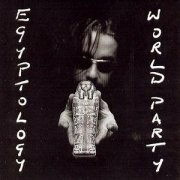 Egyptology is his/their fourth release (the band is essentially a Wallinger solo project these days) and covers a range of styles, from the very '60s Vanity Fair (Jim who? Which Morrison?) to the wordy but really rather good Curse Of The Mummy's Tomb, plus an unfortunate propensity for throwing in bits of Britpop; the album was recorded between 1993-7, straight through that movement's heyday. Like so many other albums of the CD era, it's a little overlong, and several tracks could've done with a brisk edit, but there are worse musical crimes, so maybe we'll let it off. Somebody (Wallinger?) plays Mellotron flutes on Call Me Up and The Whole Of The Night, with a solo fade-out on the latter that sounds pretty damn' real to me. So, reasonable album, could've done with being a bit shorter, two OK 'Tron tracks, hopefully real. Virginian Shannon Worrell has recorded four (effectively) solo albums, including one as September 67, 2000's The Moviegoer being the second under her own name and third overall. As with September 67's Lucky Shoe, it's a rather limp collection of singer-songwriter material, at its least insipid on Judy G (as in Garland), perhaps, although there isn't much in it. Bassist John Stirratt doubles on Mellotron, with flutes on Speedboat Wake, complete with entirely authentic pitchbend. Nice to hear, but I can't honestly say it especially improves this rather lacklustre album. Wounded Kings (UK) see: Samples etc. Outrageous hipster moustache aside, I can't tell you much about Okie Christopher Wray, other than that his tastes shifted towards soul and jazz early on. 2010's A-Sides, sometimes categorised as an EP, seems to be nothing of the sort, merely four songs in his signature smooth soul style, matched with their instrumental versions on the flip, all competent, but struggling to say anything new. Patrick Warren's Chamberlin turns up on every track, albeit almost subliminally in places, largely adding strings, by the sound of it. As a result, what looks like eight solid tracks of tape-replay garners a mere single T.
Wreckless Eric & Amy Rigby (UK/US) see: Samples etc. 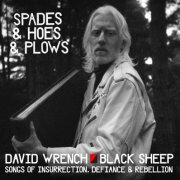 David Wrench is a Welsh albino singer/musician/producer who's made a couple of synthpop albums, which have bugger-all to do with his 2010 collaboration with Julian Cope's Black Sheep project, Spades & Hoes & Plows: Songs of Insurrection, Defiance & Rebellion. As you might expect, it consists of four old British rebel songs, the best-known being the grim nineteenth-century Northumbrian lyric to The Blackleg Miner. All four tracks are tackled in slow, dark, psychedelic form, the aforementioned Blackleg Miner being the longest at a brain-wrenching (sorry) twenty-four minutes, while Helyntion Beca (The Rebecca Riots)' entirely instrumental eighteen minutes are slightly hard-going. Quiet, yet a very long way from 'gentle', this is an album for your inner barricade-breaker. Wrench and Cope both play one or more of Julian's M400s, with flutes, strings and choirs on A Radical Song, occasional flutes and strings on The Blackleg Miner, a clicky, unidentified woodwind instrument on A Diggers' Song and flutes on Helyntion Beca, including a note that cuts off abruptly as the tape runs out. Not, of course, that there's any doubt as to the veracity of the Mellotrons where Cope's involved... I'm not sure at whom this unusual release is aimed - Cope fans who buy anything with his name on it? - but I can guarantee that you've never heard anything quite like it before. Higher Mellotronic levels than many Cope collaborations helps in its appreciation round these parts; whether or not it will for you is entirely your decision. Aaron Wright (US) see: Samples etc. Brian Wright (US) see: Samples etc. 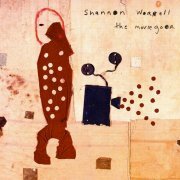 Shannon Wright is an Atlanta, Georgia-based singer-songwriter, operating in the more 'downbeat' end of the genre, so nothing like, say, Shonen Knife, then. 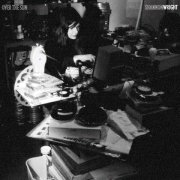 Her fourth album, 2004's Over the Sun, is an intense record, loosely categorisable as 'indie', although Wright's style owes little to the genre's leading lights, being based more in the blues than anything else. Best track? Hard to say, although Black Little Stray opens with a Jimmy Page-ish electric guitar part and doesn't sound like the rest of the album, which is a little samey, to be honest. The album opens with a solo Mellotron flute part, probably played by Wright herself, with dirgelike cellos on You'll Be the Death, the album's only other keyboard contributions being the odd piano line. This isn't an album with which to cheer yourself up of an evening, but if you're after an emotional rollercoaster ride with occasional Mellotron, you've come to the right place. 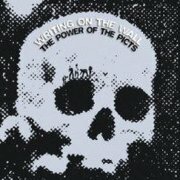 Writing on the Wall were an organ-heavy Scottish proto-hard rock outfit, whose sole album, 1969's The Power of the Picts is a veritable lost doom classic, full of Sabbath/Heep crossover classics like Aries and the bonkers Bogeyman. I'm amazed that I haven't discovered this lot before; it craps all over 'classic' 'lost' bands like Clear Blue Sky and their ilk - looks like they were unlucky not to be signed by a future collectable label, eh? And is Shadow Of Man the first use of Holst's Mars that isn't a straight 'cover'? There's no Mellotron on the album, but Buffalo, a lone b-side from '73, not long before the band split, features heavy flute and string use, probably from Bill Scott. 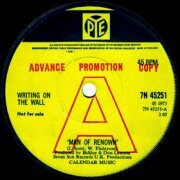 Officially unavailable until recently, it can now be found on disc two of Ork's 2007 The Power of the Picts reissue. Hurrah! Actually, the set's worth it for their original album, a must-hear for fans of the era, their sole 'Tron track coming as a nice bonus. Wrong Object (Belgium) see: Samples etc. 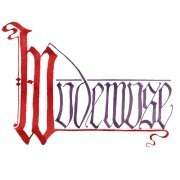 I presume Wudewuse is a local Norwegian variant on wodewose, loosely translating as 'wild man', the mythical, Pan-like figure from medieval Europe. Wudewuse is a cassette-only album by what appears to be a chap of the same name, operating in a Norwegian-language singer-songwriter vein, with little to choose between the compositions, although Små Fugler and closer Mørke Skyer may just have the edge. Lars Fredrik Frøislie plays his M400(s) and Chamby M1, with strings and vibes (presumably one from each instrument) on Det Gamle Treet Synger. For those allergic to old technology, this can also be found on Bandcamp. 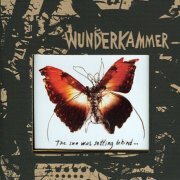 Wunderkammer (named for the Renaissance era 'cabinets of wonder'), led by Pål Jackman, are a Norwegian entrant in the 'arch, faux-'60s John Barry-esque baroque pop' stakes, whose second album, 2002's Today I Cannot Hear Music, straddles multiple lines between quirky, experimental pop, Mitteleuropan styles (gypsy jazz, klezmer) and, in places, '90s indie, albeit in a good way. Highlights include opener Sheepster & Wolff, the proggy A Dream Within A Dream (Poe set to music) and the Dylan Thomas-quoting Do Not Go Gentle Into That Good Night. Drummer Børge Fjordheim plays what sounds very much like real Mellotron (source unknown), with strings and flutes on A Dream Within A Dream, strings and distant choirs on The Beat Of Love and strings on In A Blue Bed. Only one track from the following year's B-Sides EP, Black Strap (as The Kippers), actually appears to have been previously released, on 1996's Tres Cojones EP. This is at its best on Wish You Well and Worldly Doubt, although I'm less sure about the punky Minimum Max. Fjordheim on Mellotron again, with strings on Wish You Well and Worldly Doubt. 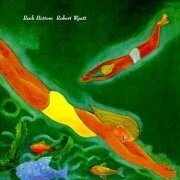 The EP's a bit bitty, so to speak, but Today I Cannot Hear Music is really rather good. Bet they're great live. 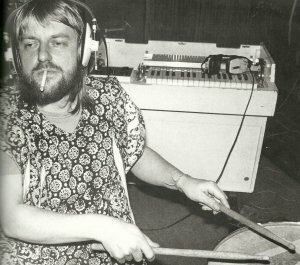 For the one or two of you who don't know his history, Robert Wyatt was the Soft Machine's drummer and sometime vocalist, moving on to Matching Mole, before falling from a third-floor window at a party, resulting in permanent paralysis from the waist down. He'd already released one solo album, 1970's End of an Ear, and recorded his second, the all-too aptly titled Rock Bottom, while recuperating. 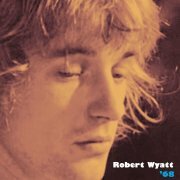 An intensely personal album, not everyone will fall for Wyatt's idiosyncratic vocals, or the largely drumless music, but it's an album that rewards careful listening, which probably means very few people have bothered with it in the last twenty years or so. Opener Sea Song is probably the most normal, or least abnormal track, which is probably why it was given pole position, and by the time you get to the Alifib/Alife double-act, the more faint-hearted have been left gasping at the side of the road, eager to return to the safety of their latest two-bit flash in the pan music press darlings. For years, I've been under the impression that the album was free of any Mellotronic involvement. It seems I was wrong (see: right). Not that it's that obvious, mind; reedy choirs on opener Sea Song sound both like and not like a Mellotron, while there's an unidentified sound on Alifib/Alife, alongside what sounds like Mellotron strings. Is this a bit vague? 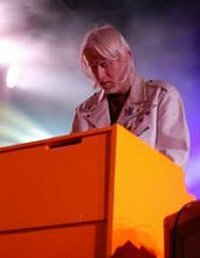 Sorry, but Wyatt's credited with merely 'keyboards', including the Moog lead on Sea Song, and the unidentified organ present on several tracks. 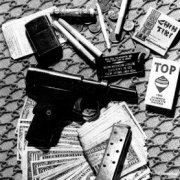 In 2013, those lovely people at Cuneiform released '68, an invaluable document for Wyattophiles, consisting of the recordings he made in New York that year, whilst staying with the Hendrix Experience. As you do. Jimi even turns up, playing bass on Slow Walkin' Talk, while the second half of the iconic Moon In June is a UK recording from the following year, featuring both Hopper and Ratledge, prior to the Soft Machine's re-recording for Third. It's this section we're interested in, as Max has pointed out (thanks, Max!) that the manic trombone solo actually hails from a MkII, complete with pitchbend and choppy, repeated notes. Not a reason to buy the album, you understand, but, if you have any interest in Wyatt's work, why would you need a reason? So; Rock Bottom: to buy or not to buy? If you'd like to hear something you've never heard before, stylistically speaking, combined with personal lyrics and unusual instrumental juxtapositions, then yes. Conversely, if not... This isn't worth it for its minor Mellotron use, but is on practically any other grounds you can think of. 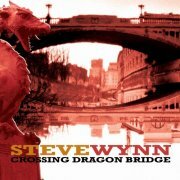 I'm slightly ashamed to say that I didn't know Steve Wynn was mainman of The Dream Syndicate through the '80s; another band I need to retroactively 'discover'... Wynn went solo in 1990, 2008's Crossing Dragon Bridge being his eighth studio release, the title referring to its genesis, recorded in Chris Eckman's home studio in Ljubljana, Slovenia (ex-Yugoslavia). It's an excellent collection of Wynn's careworn songs, as against the grizzly nonsense spewed out by any number of modern so-called 'singer-songwriters' (are you listening, Pete Yorn? ), including material of the quality of opener Slovenian Rhapsody I, Punching Holes In The Sky and Believe In Yourself. in Wynn's own words, "It's a snapshot, a dream, an acid flashback, a tourist guide, a midnight snack, a morning cup of coffee..." Eckman plays Mellotron, credited on four tracks, with straightforward string parts on Annie & Me and I Don't Deserve This (pretty upfront at the end), flutes on Believe In Yourself, with a 'real Mellotron wobble' at the end and what sounds like oboe on Slovenian Rhapsody II. 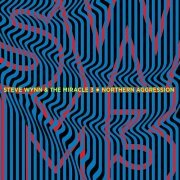 Alongside his solo work, Wynn has released several albums with The Miracle 3, 2010's Northern Aggression being their fourth. Very obviously a band album, as against a solo effort, with a country feel in places, better tracks including opener Resolution, the mildly threatening The Death Of Donny B, On The Mend and closer Ribbons And Chains. Either Wynn or Jason Victor play a major Mellotron string part on No One Ever Drowns, although it could easily have fitted on a couple of other tracks. So; today I have discovered someone good previously unknown to me. Hurrah! Steve Wynn is clearly an undersung talent, but then, he doesn't make frothy, lightweight pap for the short attention span generation, so he's unlikely to ever make his fortune doing this. Two good albums, then, with a handful of decent 'Tron tracks. Wyzards (US) see: Samples etc. French-born American ex-pat (!) 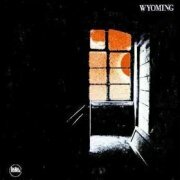 Pete "Wyoming" Bender released his first two albums under his nom-de-plume, simply titling his 1971 debut Wyoming. I think it's fair to say that it's very much 'of its time', most tracks conforming to the era's pop/rock singer-songwriter style (opener September Day, Saying Things, Livin' In Sorrow), shifting into a funkier, more soul-inflected version of the same sound (the Clavinet-driven Seven Days, Two Faced Woman, Let The Light Shine On Me), the end result being as dated as hell. Bender plays what sound like (and most likely are, going by the distinctive reverb) MkII polyphonic flute and string parts on opener September Day, upfront flute melodies and chordal strings on Saying Things and Livin' In Sorrow and a mad, pitchbent string part on I'm Weeping, easily the album's strongest feature. He followed up with In Prison the following year, similar in many ways, although the rockier I'm A Roller and the ten-minute Indian War Dance (I believe Bender is part Native American) stand out. Very little Mellotron this time round, with naught but a flute solo on Known By All. 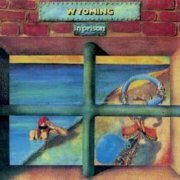 It's difficult to recommend either of these albums to a modern audience, as their style has fallen into long disuse, but the Mellotron work on Wyoming makes it worth hearing for that alone.